If you are over the age of 65 and own unneeded insurance policies and are trying to sell your life insurance policy for cash, it is difficult to know where to start. To discover if you even qualify for a life settlement or to determine the value of your life insurance policy as a viatical settlement or life insurance settlement, please fill out our no-obligation life settlement quote form to the right and we will assist you. There is no cost or obligation to you. If you just have a question or would like to speak to a Viatical.org representative, then please call us at 800-973-8258 or you can contact us using our email form and we will get back to you to the best of our abilities with a helpful answer. 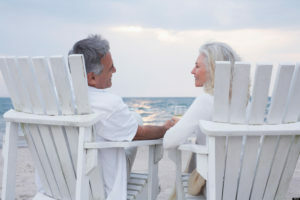 Many seniors have no idea that selling your life insurance policy for cash is even a possibility. Time and time again we hear of Grandparents who surrender or lapse life insurance coverage because the policies are no longer needed or because the cost of insurance each year continues to increase. There may be value in unwanted life insurance policies which would otherwise be discarded if not for the advent of life settlements, which now allow you to sell your life insurance policy for cash. You may qualify for a life insurance settlement and be able to sell your life insurance policy even if you have no cash value at all. There may also be value in a convertible term insurance policy as a life settlement. Call our friendly, knowledgeable staff before attempting to sell your life insurance policy for cash. The best place to start if you are looking at the life settlement market to sell your life insurance policy is by seeing if you qualify and determining if your life insurance policy has value as a life settlement. Please allow us to help you. Call for an appraisal before you attempt to sell your life insurance policy for cash.